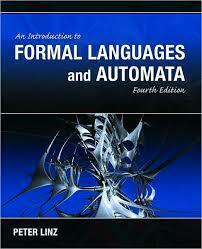 245 1 3 %a An introduction to formal languages and automata / %c Peter Linz. 260 %a Sudbury, MA : %b Jones and Bartlett Publishers, %c cop. 2006. 300 %a XIII, 415 s. : %b il. ; %c 25 cm.